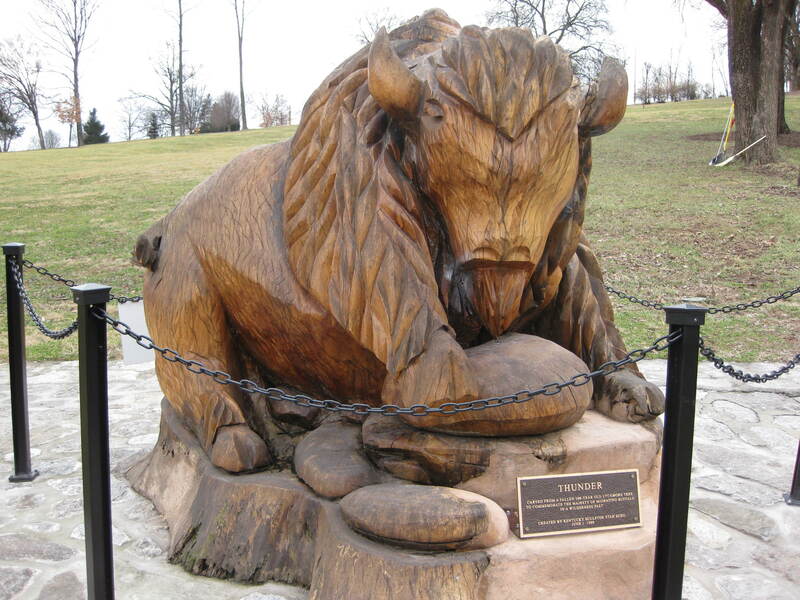 Thunder, the Buffalo Trace mascot, carved from the remains of a tree that had been all-but-destroyed by lightning. Thursday brought not just one but two tours at the Buffalo Trace distillery — basically the Bourbon Mecca for many of us. After the standard tour, including the hand-bottling assembly line, we were treated to a “hard hat” tour, where we went behind-the-scenes of the bourbon-making process and (here’s the fun part) got to taste each step of that process: the crushed grains, the reconstituted spent grain, several stages of the yeast fermentation, the sweet mash, the sour mash, and right on up to the final product… which, of course, tasted the best. Friday brings four distilleries: Tom Moore, Maker’s Mark, Heaven Hill, and Jim Beam. Have we had enough bourbon yet? Not hardly. Pluck the mint gently from its bed, just as the dew of the evening is about to form on it. Select the choicer sprigs only, but do not rinse them. Prepare the simple syrup and measure out a half-tumbler of whiskey. Pour the whiskey into a well-frosted silver cup, throw the other ingredients away, and drink the whiskey.